Criminal trial in state and federal courts. Keith Fitzgerald is the DUI lawyer for Hogue & Hogue. He is a successful trial lawyer who has won numerous DUI jury trials in the region, and keeps his current practice focused solely on DUI defense. In an effort to provide the best defense for all of his clients, Keith keeps abreast of the changing law and emerging trends in the DUI area through constant research and study. He practices in Federal and State courts in middle Georgia region, and can handle every type of criminal case. Keith is a 2010 graduate of Mercer University's Walter F. George School of Law, where he also received the Certificate in Advanced Legal Writing, Research, and Drafting. While a law student, he clerked with a solo attorney in Macon, where he discovered his passion for helping people during difficult and trying times in their lives. This led him directly to the field of criminal defense, as there are no more difficult and trying times for people than when facing the full weight of the criminal justice system. Keith is proud to call himself a criminal defense lawyer. Law is a second career for Keith. Before becoming a lawyer, Keith was a professional trombonist in the United States Air Force. During his musical career, Keith traveled the worldincluding Japan, Korea, Australia, the Philippines, Bangladesh, Singapore, and Thailand as well as the eastern United Statesperforming jazz and classical concerts as a musical ambassador of the United States. His experience on stage as a performer led him to his law career. In effect, he traded the audience at a concert hall for twelve citizens in a jury box; musical notes in a symphony instead became words in a closing argument. 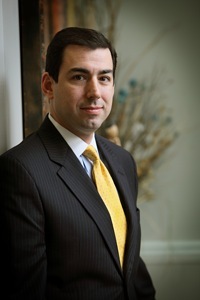 Keith is a vice president of the Georgia Association Criminal Defense Lawyers and a member of the Georgia and Macon Bar Associations. Keith is also a proud graduate of the William Bill Daniel Trial Advocacy program.